Three times each year, a group of intrepid (deranged, some argue) men and women from around the world migrate to India for a few weeks to take part in one of the most ridiculous charity fundraising initiatives known to man- The Rickshaw Run. The Run is a rally covering about 3,500km of Indian road. It lacks conspicuously lacks any specified route, support team, or assistance once you begin; the teams usually lack mechanical expertise, and suitable vehicles – every team competes in their own custom decorated auto-rickshaw! Of course, this off-the-wall kind of experience doesn’t appeal to everyone, which is why when we noticed one team from the Run parked in the courtyard of Jodhpur’s RAAS hotel, we couldn’t resist dreaming up a way for the rally to be done in an irresistibly unique style which lets you keep in touch with the finer things India has to offer. Though most of the days are spent getting the miles under the wheels of the tuk-tuk, we’ve thought up some ways to make sure that every moment out of the Rickshaw is extra-special too. It would be a crime not to indulge in the sights and tastes of Jaisalmer before the race begins. Take the short connecting flight from Delhi, arriving in Jaisalmer on the 29th December, three days in advance. Recover from your flights and prepare for the adventure ahead by staying in Hotel Killa Bhawan, located within the breathtaking 12th century ‘Amber Fort’. Have dinner on the roof terrace, where the view of the city is unforgettable. Spend the day preparing for the rally, getting to grips with driving a tuk-tuk, and adding finishing touches to your vehicle’s paintwork. In the afternoon, adventure into the great Thar desert east of Jaisalmer in an air-conditioned 4×4. Swap horn for hoofs in the evening, and take a camel ride over the sand dunes. At sunset, dine in the natural privacy of the isolated landscape, before spending the night in one of the luxury tents at The Serai (listed in the Condé Naste Traveller 2010 Hot List), 50km away from the bustle of Jaisalmer. 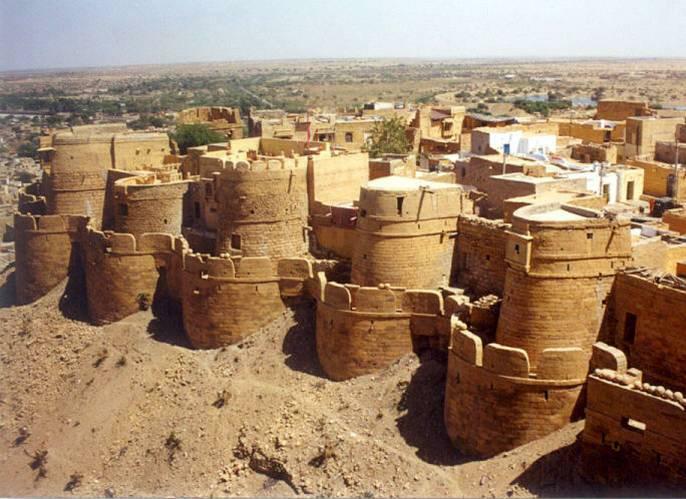 Return to Jaisalmer in the morning, to take a chance to explore the historic city itself. Be sure to see the enormous Patwon Ki Haveli, built over a period of 50 years in the 19th century, and the manmade Gadisar Lake, with its banks decorated by a rich variety of temples and shrines. We also recommend taking a small excursion 7km west of the city centre to have lunch on the banks of the Amar Sagar Lake, next to which you can see the five-story Amar Sagar Haveli, famed for its fascinating murals. However, make sure you get to watch (or even take part in) the Rickshaw Run’s tradition of a racers vs. locals cricket match! The evening looks to be a great one – attend the New Year’s party hosted by The Adventurists, and bond with the other Rickshaw Run competitors, before returning back to the comfort of Hotel Killa Bhawan for one more night within the ancient walls of the Fort. 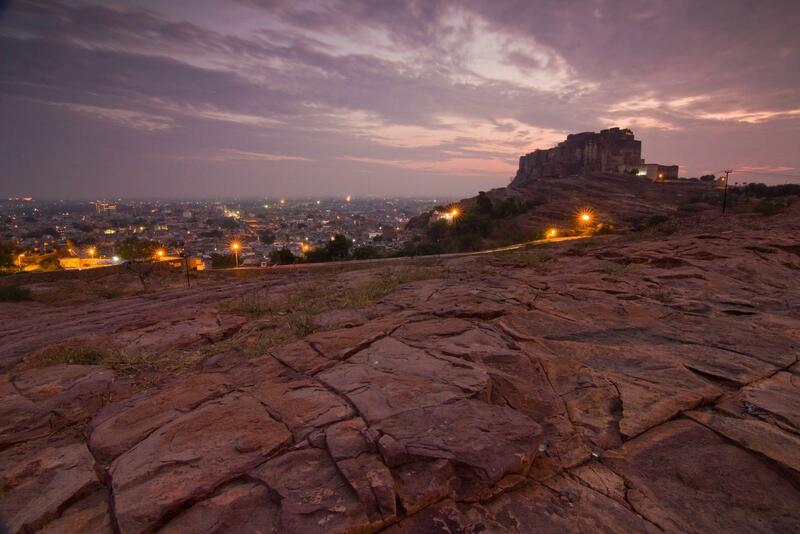 Travel as quickly as your tiny tuk-tuk engine will allow on the fast roads to Jodhpur, aiming to arrive well before sunset. Drop you bags off at RAAS Haveli, (‘World Holiday Building of the Year’ at the World Architectural Festival, 2011) the only boutique hotel within the old walled city, and an ideal and idyllic place to spend your first night on the road. 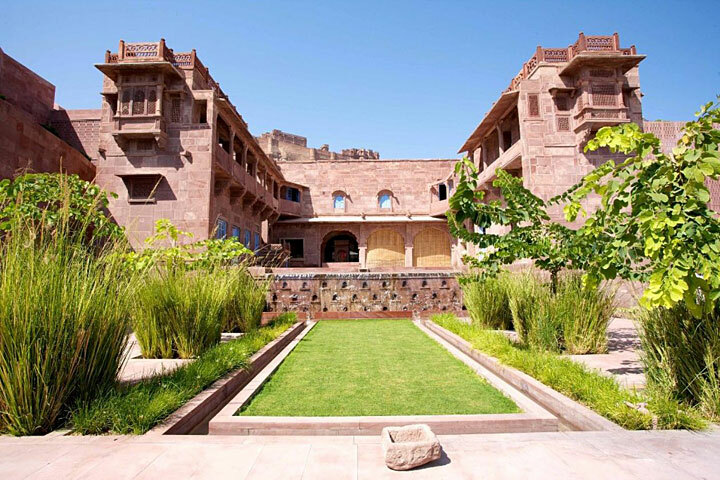 Head up to the imposing Mehrangarh Fort (Time Magazine’s ‘Best Fortress in Asia’, 2007), just a short journey by foot (or by tuk-tuk, but we thought you might want a break..), and experience an exclusive sunset Champagne Tour of the fort with the curator of the fort’s phenomenal and extensive museum. To top it all off, a totally once-in-a-lifetime private dining experience in one of the ancient haveli’s within the walls of the fort is waiting for you after dark. After breakfast in the Baradari restaurant of RAAS Haveli, journey to Udaipur, a distance of approximately 260km, arriving in time for a short twilight boat ride across the lake to the ethereal Taj Lake Palace (featured in ‘Top 15 resorts in Asia’, Travel + Leisure, 2009; also), a shimmering mass of beauty upon Lake Pichola. 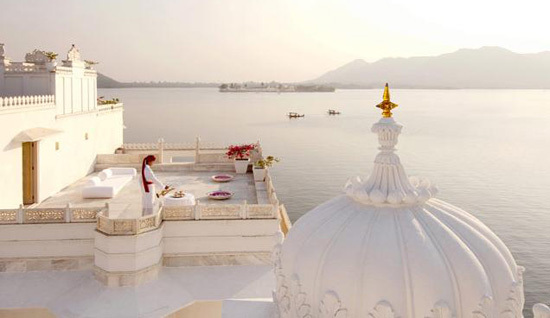 If you feel like a trip onto the mainland, head to City Palace on the east bank of Lake Pichola, where you can see an impressive crystal gallery (ordered from London by the Maharaja in 1877, who unfortunately died before they arrived), as well as many similarly intricate buildings to delight the architecturally minded. ← A Fast-Paced Luxury Weekend in Delhi: India’s F1 2012. A highlight indeed! We thought we’d try and balance the blood, sweat, and gears with some food, comfort and beers. One of our team did the Mongol Rally in 2009, and has engine failures, parochial mechanics, cold nights trying to hitch rides to the nearest town from burly monobrowed truckers, and repeated shouting of the word ‘PETROL!’ to try and find a fuel-station etched indelibly into his memory. He insists that’s a good thing..